This is the second in a series of books focusing upon the history of folk music. 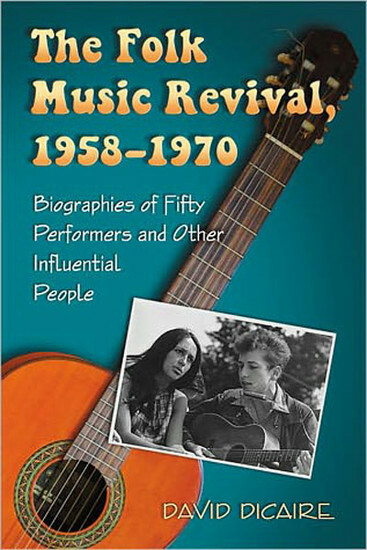 This volume concentrates on the period that continues to fuel popular music to the present. It was an exciting time, one that changed the complexity of folk music. Included are biographies and discographies of such noted personalities as Harry Belafonte, Buffy St. Marie, Gordon Lightfoot, Joni Mitchell, Simon and Garfunkel, and Peter, Paul and Mary. With information on influential artists from other countries (the Clancy Brothers, Miriam Makeba and others), people "behind the scenes" and major political figures, here is a solid representation of an epoch that still generates enormous enthusiasm.